Here are some of the most common questions prospective patients have for us before they come to our Plano TX Optometrist office for an eye exam. How Much Does an Eye Exam in Plano TX Cost? It depends on several different factors. The type of insurance you have and what it pays for, whether you’re getting examined for glasses or contacts, whether it’s your first eye exam, whether you need monitoring or care for an eye condition like glaucoma, and other factors will influence the cost of the exam. Your exam may cost more or less than that of another patient, based on factors that are unique to you. You can get a better idea of what your exam will cost by calling us and asking prior to coming in for your exam. This also varies by patient, because different patients have different needs. Someone coming in for their first ever eye exam will probably need about an hour or more to get all of the necessary initial tests. A person who has had many eye exams in the past, and who has no eye conditions that need to be treated, may only need a half hour, and sometimes less, to get their exam. A person just coming in for an annual eye check who does not wear glasses or contacts may only need ten or fifteen minutes or so once they get back to see the optometrist. Eye exams are important because they let us (and you) know how healthy your eyes are, and if your corrective lens prescription has changed….or if you need one for the first time. When you get regular exams, usually on an annual or bi-annual basis, you will have confidence that your eyes are in good health, and that any issues that may develop with them will be noticed quickly, so they can be successfully treated. The sooner you find these things and treat them, the easier they are to manage, and even cure. Regular exams also ensure you are seeing at your best, by keeping your corrective lens prescription up to date. What’s the Difference Between a Vision Screening and an Eye Exam? 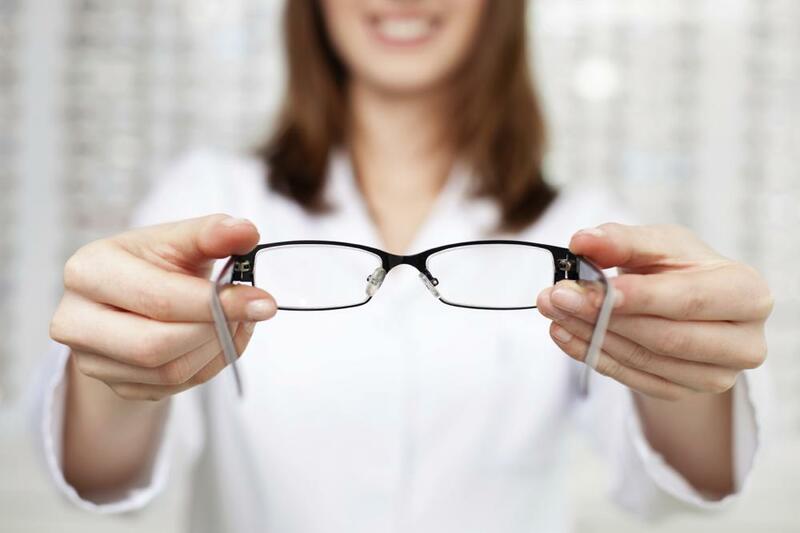 A vision screening just checks to see if you need a corrective lens prescription, or an update to your old one. An eye exam also checks the overall health of your eyes. Does Insurance Cover an Eye Exam? It depends on the insurance. Most do, and we accept all major insurance policies. Please call us before your appointment to verify that we accept your insurance, and that it covers eye exams. You will also find out what your co-pay (if any) is when you call us to verify. Most people get annual eye exams. If you have an eye condition, like glaucoma, diabetic retinopathy, or macular degeneration, you may be asked to come in bi-annually to manage it better. Contact us to make your initial appointment or ask any questions! We’re always happy to help and we look forward to seeing you in our office!